Las Vegas has been named the No.1 trade show destination for over 21 years, hosting at least 60 of the top 250 trade shows in the world. 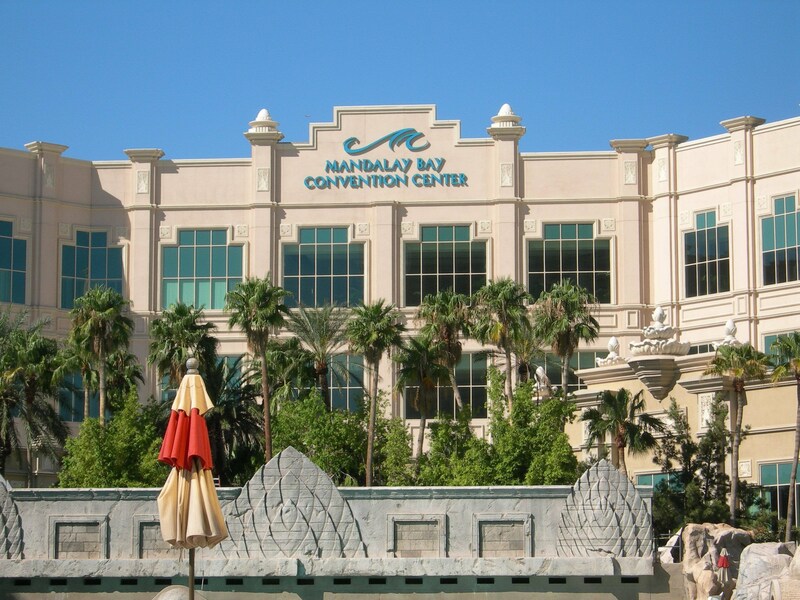 While not only home to the Las Vegas Convention Center, one of the most sophisticated facility within the exhibition industry, there are other venues throughout Las Vegas, which together have hosted 5 million convention delegates to over 700 events and an estimated 2,2000 conventions in all. The Las Vegas Convention Center, considered one of the most sophisticated facilities within the exhibition industry, has a state-of-the-art infrastructure. With over 2 million square feet of exhibit space, is said to be the best venues for exhibitions in the United States. When your company reserved a trade show exhibit space at such a prestigious venue, it is important to have a quality designed exhibit to help your brand stand out amongst the glitz and glamour of the best exhibits Vegas has to offer. Whether you choose one of our lightweight portable booths, island booths, or you’re opting for a larger set up with a double deck booth – our custom trade show booths are designed to leave an impression with your booth visitors and send them home as newly converted brand advocates. ExpoMarketing has been providing top customizable exhibits for trade shows in Las Vegas for over 25 years. Our close proximity to one of the world’s busiest venues has allowed us to provide innovative, highly customizable, and easy-to-assemble trade show exhibits for hundreds of brands across all types of markets. 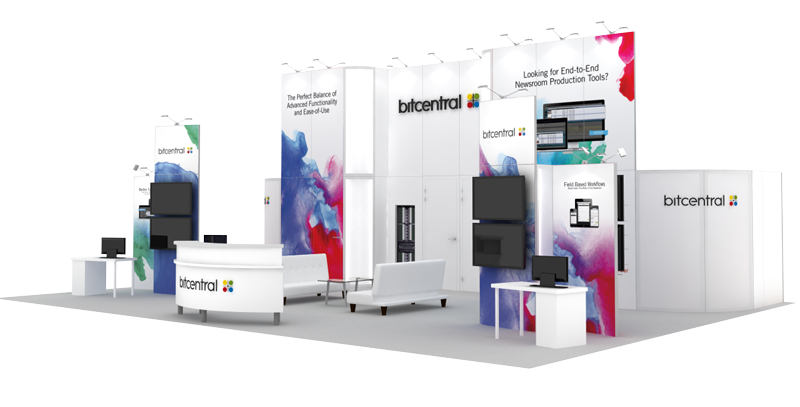 Let us help you plan and assemble your next Las Vegas trade show booth. We can assess your needs to see if renting or purchasing is the right solution for you. For ideas and inspiration, browse our Exhibit Portfolio. Most recently, the Institute of Electrical and Electronics Engineers (IEEE) International Conference on Consumer Electronics, better known as CES, made trade show history with an attendance of 170,000 and exhibits occupying 2.47 million square feet of exhibition space. Magic Las Vegas is an event that showcases products like the largest fashion marketplace, which is comprised of eleven unique communities showcasing the latest in apparel, footwear, accessories, and manufacturing. The National Association of Broadcasters (NAB) Show attracts visitors in large numbers for its exclusive showing of 3D advanced devices and technologies that make life more tech savvy. You can find out more about the trade shows and events happening now and in the future at the Las Vegas Convention and Visitors Authority website as well as trade show and event search sites like 10times.com. And when you need a booth designed for your Las Vegas trade show, look no further than ExpoMarketing.